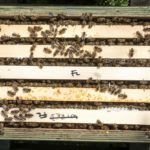 I am interested in stock improvement and raise my own queens to expand my colony numbers by preparing nucleus colonies (nucs) during the season, some of which are then overwintered. I sell off surplus stock. I am strongly opposed to the importation of bees and queens, both because of the potential for the import of pathogens with them and because I feel they are detrimental to UK beekeeping. 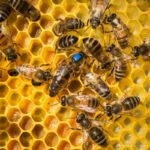 Buy local bees and queens – they are better suited to your environment. None – Spring 2018. As an alternative perhaps try Gavin Ramsey at Taybees. 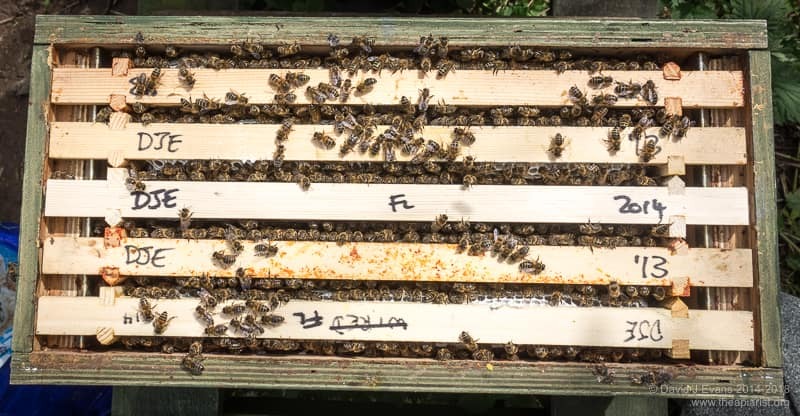 Small numbers of locally bred queens are sometimes available May ’til August/September. These are ‘local mongrels’, grafted and mated in Fife from well-behaved stock. They are generally dark bees, steady on the comb, hard working and reasonably frugal with stores overwinter. I select my least swarmy stock for queen rearing and am careful to select against colonies showing aggression or unpleasant traits such as following. Larvae are grafted and the resulting queens mated from mini-nucs or 3-frame nucs and only available once they have shown they can lay a frame up well. Overwintered queens are also rarely available, mated late in the season and overwintered in mini-nucs. Queens are supplied in JzBz introduction cages. Collection only. 5-6 frame nucleus colonies are sometimes available May, June and July, headed by a current year locally raised queen. These are an ideal to way to start beekeeping after attending a suitable introductory course. I will not supply bees unless you have received some training and are a member of a local beekeeping association (and preferably the Scottish Beekeepers Association as well). You will need mentoring during your first year of beekeeping. These nucs will develop strongly, and may even collect enough honey to harvest in your first year. Colonies are provided with at least 3 frames of brood, headed by a locally bred queen. Collection only. If you are interested in the availability of queens or bees to purchase please contact me.